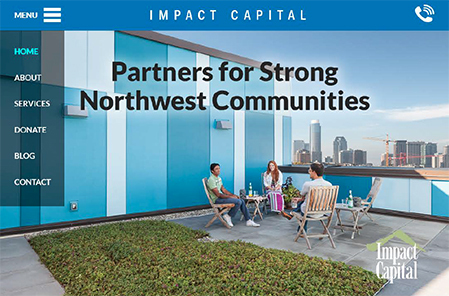 The 2015 CDFI Program Awards were announced in early September, and we want to take a moment to highlight the Washington awardees and some of our Oregon partners, and to send sincere congratulations from Impact Capital to one and all. Want to know more about community development financial institutions (CDFIs)? Visit the Opportunity Finance Network to learn how CDFIs help communities improve their quality of life. We are very pleased to announce our new and improved Impact Capital website, now online here. We redesigned the look and feel of our site to make it easier for both nonprofits and investors to learn about Impact Capital services, resources, and success stories. Take a peek and tell us what you think so far – we’re always looking for feedback to make our site as helpful and user-friendly as possible. Watch for more content in these first weeks of October as we grow into our new space. Oh, and a special shout-out to the fine people over at Noise w/o Sound, a local design firm whose team is guiding us through this process with patience and good humor.